Why are car dealerships not open on Sunday? Why are car dealerships like Woody's Automotive Group closed on Sundays? KANSAS CITY, Mo. - Aug. 2, 2013 - PRLog -- A very popular question is "Why are car dealerships closed on Sunday?" In Missouri, we have something called the Blue Law: "Missouri statute, Section 578.120, RSMo, prohibits a dealer, distributor, or manufacturer from opening, operating, or assisting to keep open or operating any established place of business for the purpose of buying, selling, bartering, or exchanging any new or used motor vehicle on Sunday." This allows employees to get a day of rest even if their employer thinks that making money is more important than their employees well-being. Thankfully, at Woody's Automotive Group, we know that our employees need a day off to spend with their families, and because of this we are also closed on every national holiday. We believe, very strongly, that to have happy employees they need to have adequate time off. Sunday is their day to really re-coop and rest for the following week. 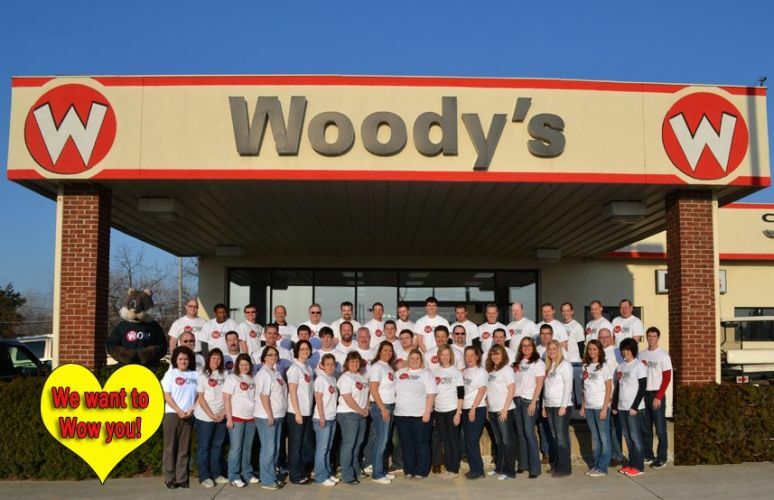 Come in and experience the great family atmosphere here at Woody's Automotive Group! If you would like to schedule an appointment with one of our dedicated sales advisers just give us a call 800-930-5231. The Woody's Automotive Group family started their automotive company in 1947 selling quality products and providing personalized service to their friends and families. The Woody's family continues this tradition today. They introduced the Dodge, Jeep, Chrysler brand to their line-up in 1986 and have been providing North Missouri residents great deals on all used makes and models. 2017 Missouri Dealer of the Year Award Announced!